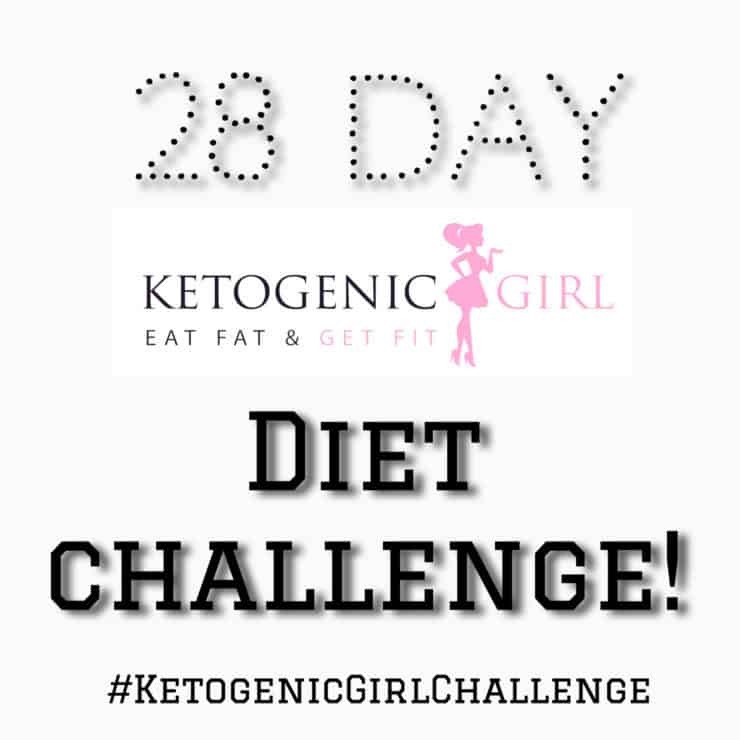 Creating keto recipes that my whole family will enjoy is what makes this girl’s soul sing. My recipe for keto Italian stuffed peppers is an inviting dish that everyone at the table is sure to enjoy. My recipe for Keto Italian Stuffed Peppers makes for an ideal keto meal. It’s not only delicious, but it’s also very nutritious. 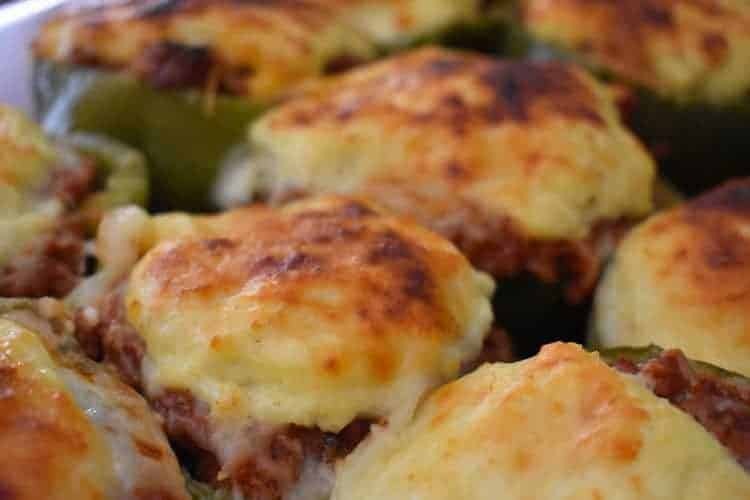 This recipe for keto stuffed peppers gives you all the classic Italian flavors minus the high carb rice that the traditional recipe carries. It’s a keto-friendly meal that won’t threaten to kick you out of ketosis. These spicy Italian stuffed peppers are so colorful and enticing, they will be hard to resist. In fact, even your non-keto family will insist a serving. Can I tell you that I am thrilled that all my children now live in the same city? And when I say ALL, I, of course, include our son-in-love, Peter. When Peter joined our family almost 6 years ago, Randy and I gained an incredible son, Matthew gained the big brother he always wanted and Michelle found her prince. It’s a beautiful thing when an answer to prayer manifests right before your eyes. As parents, we understand that the goal is to raise our children to become responsible adults, and then give them the freedom to live their own lives. But can I tell you that letting go is not always easy? Which is why this momma is cherishing the fact that I have them all nearby, at least for now. Having our children close by isn’t just good for my heart, it also gives me plenty of opportunities to cook for them a ketosis meal. Nothing like testing my low carb, keto recipes on them first. Getting their feedback is so important to me. Knowing that Peter loves bell peppers, meant that creating my recipe for keto Italian stuffed peppers was inevitable. Sitting down for a family meal seems like a lost art in our modern world. However, this girl is determined to change that. Because as far as I am concerned, few things bring a family together like a good meal. And when you know that what you’re serving is a ketosis meal like these Italian stuffed peppers, well it only makes those moments more meaningful. My mother-in-love was a genius at gathering her family. The way her children and their spouses clamored around her kitchen table was a thing of pure beauty. Every Saturday without fail, we were all at Mama’s and Papa’s house. And once there, ALL her daughters and sons naturally gravitated to her kitchen. How the whole lot of us would cram into that tiny kitchen table, is still a mystery. The funny thing is that we all had access to her dining room table, that was just a few short feet away. But somehow no one ever wanted to sit there. That formal table just felt kind of distant and cold. Sure it was pretty and shiny but the magic happened at the little-worn out kitchen table that was snuggled at the end of her kitchen. We would rather be sharing a seat than to lose the intimacy that, that kitchen table offered us. I can’t tell you how many meals we all enjoyed there. It was the most welcoming place where we found love, laughter, and comfort. Do you know that none of Mama’s china never really matched? And that frankly it was always a bit messy in there? But how could it not be? It was bursting with life. And life my friends can get messy. Why do we sometimes feel that everything has to be perfect in order to enjoy a meal together? Frankly, the older I get the more convinced I am that perfection is so over-rated. When I think of all the missed opportunities to gather loved ones around because everything wasn’t up to my standards. it truly saddens me. As each of her children gave her grandchildren that kitchen table continued to make room. We all wanted them to experience what we had all come to love. With each family addition, those moments around the family kitchen table became even more important. Her grandchildren were always creating some sort of havoc in the nearby tiny room. A room that was supposed serve as her exercise/laundry room, but was made into a makeshift playground by her eight rambunctious grandkids. The cousins were left to their own devices. As parents, we had this blind assurance that they would all know how to have fun and not trample the toddlers. Meanwhile, us adults enjoyed each other’s company also in a tiny space. El Cuartico (the little room) even had a spare mattress that was propped against a wall ready to be turned into a guest room at a moment’s notice. But more often than not, that mattress was used as a slide. All those cousins together in a tiny room made for some very interesting memories. My children till this day still remember that room as the most magical place on earth, and if I were to ask my nephews and nieces they would say the same. The only thing that could have possibly rivaled that room, was, of course, Mama’s kitchen. The children would come running into the kitchen from time to time when our laughter became louder than theirs. And when that happened, they landed on our laps. No problem seemed too big when discussed at that kitchen table. We all felt empowered after sharing a meal together. It was a place where we could just strip off the cares of this world and be at ease. This is what I endeavor to recreate for our growing family too. I don’t think I could ever come close to the atmosphere she created, but I’m determined to give it my best shot. This July, it will be five years since heaven became Mama’s home. Yet a day doesn’t go by that I don’t think of her. What words of wisdom would she offer? What meal would she want to be cooked? I am so grateful that I carry her love close to my heart. Mama left before I was ever able to share one of my low carb keto meals with her. I have no doubt that she would have loved my Keto Italian stuffed peppers. She battled diabetes for years and this lifestyle could have really benefited her. It always concerned her that both her sons had also developed diabetes. 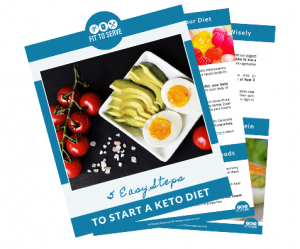 Thankfully, Randy reversed his diagnosis over four years ago, and Paul her youngest, is seeing great strides as he too is using a keto diet to keep his diabetes in check. Oh, how I wish I knew then what I know now. If I did those meals we shared would certainly not look the same. As I am sure that this very opinionated girl would have insisted they be made lower in carbs. Unfortunately, I can’t go back in time. So instead, I’ve made a concerted effort to offer her loved ones recipes and meals that would ensure greater lasting health. I hope to always honor her legacy by living life to the fullest and making every moment count. Without a doubt, Mama’s laughter echoes in the walls of my kitchen. A kitchen that was once hers. When I’m busy cooking it’s when I remember her the most. Most Sundays after church service Randy and I try to share a meal together with our children, it’s not always a home-cooked one but when it is I try to go the extra mile for them. All with the hope that they will linger just a little bit longer at the table. Hoping to recreate the same warmth that Mama offered us. It appears I’ve learned some lessons well from her and others I need time to master. But if there is one thing I am certain of, it’s that I have her approval when I make an attempt to bring the family together even with a humble dish like this Italian keto stuffed peppers. 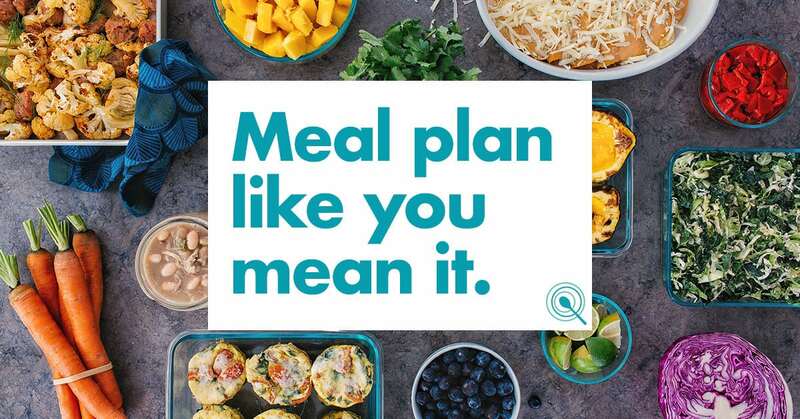 Because the low carb, keto kitchen gives us ample opportunity to produce tasty, satisfying meals. 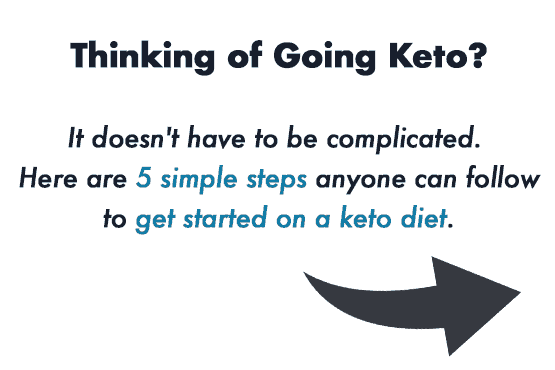 You’ll never feel like you have to choose between taste and health when it comes to eating keto. 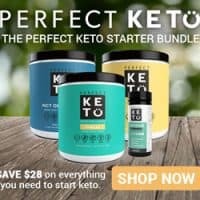 As a keto food and lifestyle blogger, sharing my dishes with my family makes me feel like I am making a difference in their lives for generations to come, all without sacrificing taste. How Are You Making Family Meals Special? It’s my prayer that you will be encouraged to share a meal with a loved one. That you remember that perfection shouldn’t be the goal but the time in each others presence. Do stop by and leave a comment or tag me on Instagram if you decide to make these Italian Keto stuffed peppers for your family. I would love to hear how you are making memories that will be passed down. After 10 seconds the ketone meter will give you an accurate reading. 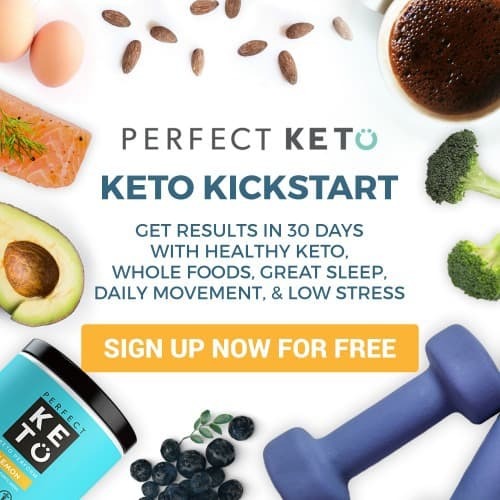 Testing is not necessary in order to do a ketogenic diet, but it can serve as a powerful tool to track your ketone levels and help you see your ketosis progress. A recipe for Keto Italian stuffed peppers. Get all the flavor of this classic Italian dish minus the high carbs. 1/2 tablespoon of Italian seasoning mixture. Slice the bell peppers in half and remove the seeds and set aside. Brown the ground beef and sausage. Add all the spices to the ground meat and sauté. Allow the meat sauce to simmer on low for 10 minutes and then set aside to slighly cool for 5 minutes. Combine all three cheeses, egg and spices until it is perfectly blended. Set aside. In a large baking pan add a small layer of sauce and then arrange the sliced peppers side by side. Next add the cheese ricotta filling to each pepper. Lastly, sprinkle each pepper with the parmesan and mozzarella cheese topping. Cover dish lightly with a sheet of parchment paper and bake for 60 minutes in a 350 degree oven. Then uncover and allow the cheese to brown lightly for another 10 minutes. Hi Emily, Not sure how I forgot to mention this but I've updated the recipe thanks to you. It's 350 degrees. Thanks! The serving size says 12 with 1 per serving, but you only use 6 peppers? Are they cut in half? Hi Ellen, Yes the peppers are cut in half. Would you recommend freezing them for meal prepping & later use? Would I assemble and then freeze before baking? Or would that ruin the integrity of the peppers? Hi Carly, you could freeze after you assemble or after baking. Personally, I would prefer assembling and then baking. I made this last week and it's a keeper! I did not have ricotta cheese and so substituted whipped cream cheese and it was very good. I did add a layer of tomato sauce on the bottom and cut the recipe in half. Other than that, I made the recipe per directions. 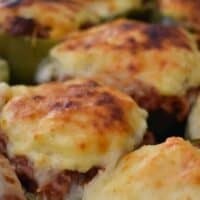 My husband and I love stuffed peppers but since most of my family does not but don't really mind peppers in recipes, for future family dinners, I am thinking of slicing the peppers and making a base of peppers before layering the meat and cheese mixture. I think they would like the flavor profile overall.Thanks for all these great recipes! Wonderful to hear. Glad you enjoyed them.